Feb. 8, 2018, 9 a.m.
News organizations across the board have largely embraced the notion that the future of digital news will be lighter on advertising and heavier on subscriptions and other forms of reader support. Less clear, though, is what that ideal audience revenue model will look like, and, for the organizations that currently lack one, the best route to make the business shift happen. A new report from from Elizabeth Hansen at the Tow Center for Digital Journalism and Emily Goligoski at the Membership Puzzle Project offers more clarity. A product of hundreds of conversations with newsroom managers, reporters, and even members themselves, the 121-page report offers a lot of insight into what makes an effective reader revenue model work, and a framework for how news organizations can implement their own. Here are a few of the takeaways from the report, which you can find in full here. — Members don’t really care about tote bags or other swag. Talking to dozens of members of news sites’ membership programs, Hansen and Goligoski found that few people said that they were enticed to sign up by physical perks like tote bags or t-shirts. Instead, many said that they were mostly interested in supporting the cause of the organization itself. This is an appeal that many news organizations have leaned into. 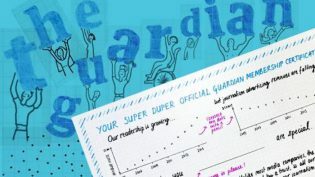 The Guardian, for example, said that its shift to an “emotional, service-based request” helped boost its membership efforts to 800,000 supporters in the 18 months after launch. — There’s still no perfect community management system designed for news organizations. Running a membership- or donation-based business involves a lot of complexities when it comes to customer data. Not only must sites collect basic data about their users (email addresses, payment information, etc), but they also have to match that data with specific messaging campaigns and even specific stories to determine what is most effective at driving subscriptions. — Membership programs without content-engagement strategies aren’t really memberships. One of the core arguments made in the report is that membership models require some degree of back-and-forth engagement with members. Some of these models can be “light touch” or “thin,” with features such as reader forms and member-only newsletters, while others are more “high touch,” with more pronounced interactions. 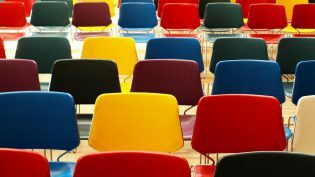 Some publications’ membership programs, on the other hand, “are membership in name only and operate much more like subscription strategies, with little or no audience engagement,” Hansen and Goligoski write. — Embracing membership models often requires a real culture shift. Despite the Internet’s ability to facilitate direct communication with readers, many reporters still cling to the pre-web ethos of speaking to readers rather than hearing from them. That’s slowly changing, especially at places like ProPublica and The Texas Tribune, but there’s still often an overall discomfort among reporters newly encouraged to break down the wall between them and their readers. Bilton, Ricardo. "A new report offers a primer (and a reality check) on the news membership model." Nieman Journalism Lab. Nieman Foundation for Journalism at Harvard, 8 Feb. 2018. Web. 23 Apr. 2019. Bilton, Ricardo. "A new report offers a primer (and a reality check) on the news membership model." Nieman Journalism Lab. Last modified February 8, 2018. Accessed April 23, 2019. https://www.niemanlab.org/2018/02/a-new-report-offers-a-primer-and-a-reality-check-on-the-news-membership-model/.